The American singer/songwriter is now in her 60s, believe it or not! 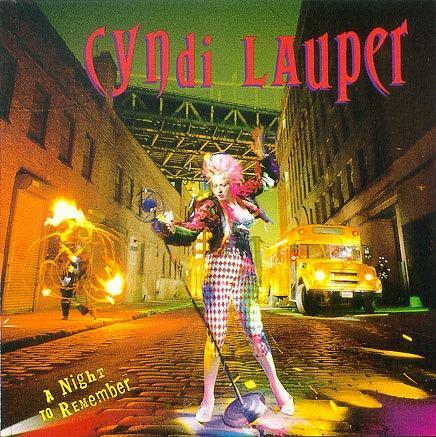 Cyndi will be releasing a brand new album entitled Detour in May 2016, and it will feature collaborations with many well-known artists including Emmylou Harris, Willie Nelson, Vince Gill and Alison Krauss. Recorded in Nashville, it doesn't take a genius to work out that the album is likely to have a strong country music flavour. 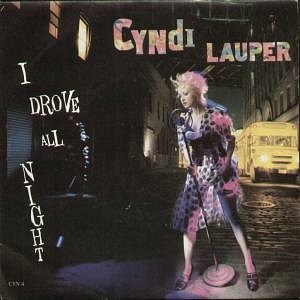 However, as this is an 80s website, I am going to focus on Cyndi's best-known and biggest hits, which were all released during the 1980s, thankfully. Being a male teenager in the 80s, it was almost impossible to admit to liking this song at school without someone wanting to beat you up! For this was a feminist anthem that was released long before the Spice Girls came on the scene. Bizarrely, the song was originally recorded by a man! Yes, musician Robert Hazard wrote and recorded the track back in 1979, although Cyndi Lauper changed the lyrics slightly so that they were coming from a female's point of view. 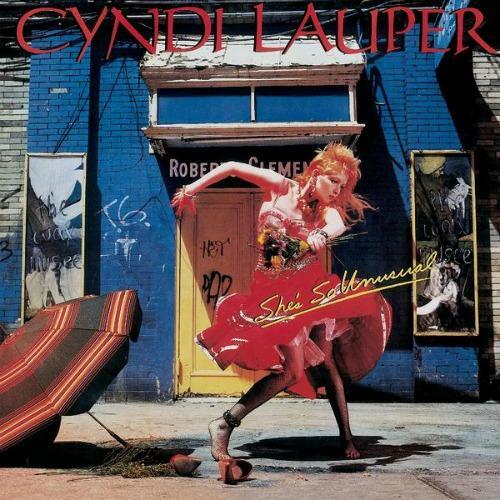 Released in 1983, the song was the lead single from Cyndi Lauper's debut album She's So Unusual, and reached #2 in both the UK and U.S. it also reached number one in several countries including Canada, New Zealand and Australia. 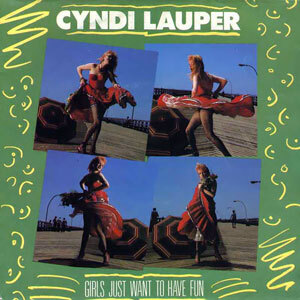 This excellent ballad was Cyndi Lauper's second single of the 80s (her third single release overall, as she released the non-album single You Make Loving Fun in 1977 which failed to chart) and was the the perfect follow-up to the hugely successful, upbeat "Girls Just Want To Have Fun" - the tune that always had the girls going crazy on the dancefloor at the school disco! Reaching No.1 in the U.S and No.3 in the UK singles chart, this single was taken from the album "She's So Unusual". 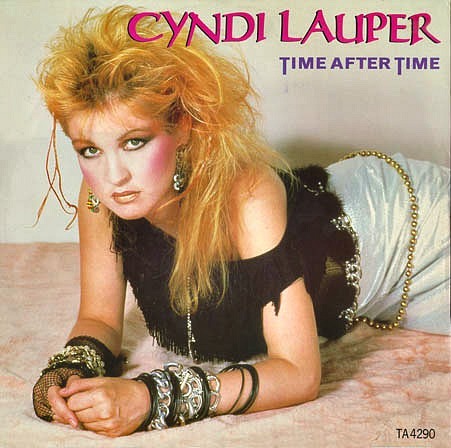 Time After Time was nominated for "Best Song of The Year" at the Grammy Awards in 1985. 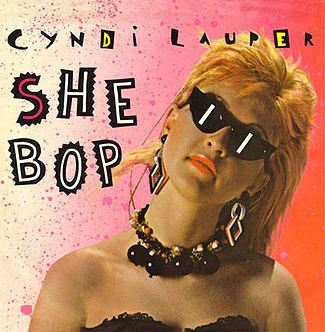 The third single from Cyndi Lauper's debut album, She's So Unsual, was a big worldwide hit, reaching #3 in the USA. However, here in the UK the song failed to break into the Top 40, stalling at #46. The lyrics refer to masturbation, but had Radio 1 DJ Mike Reid got his mitts on it then it would have been a surefire No.1. Released on 14th July 1984, the follow-up to She Bop reached #5 in the USA, but could only manage #64 in the UK, which is why this is actually the first time I've listened to this! It's kind of surreal listening to 80s songs that I've never heard before in 2013! The pop ballad was actually a cover of a song by Jules Shear which featured on his debut album Watch Dog, which was released in 1983. This is the full, official video for the song. It takes a while for the music to actually begin, so please be patient! I never actually got to hear this song in the 80s as it failed to chart here in the UK. In fact, the UK vinyl is now very rare and probably worth a bob or two if you have a copy in mint condition. Released on June 6th 1985, the song reached #10 in the USA giving Cyndi Lauper her fifth top ten single in her home country. 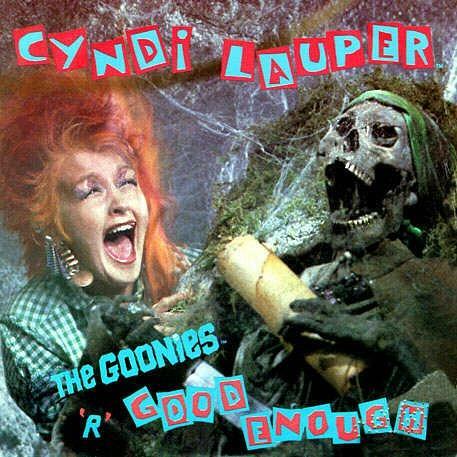 The song was included on the soundtrack to The Goonies movie. This stunning 80s ballad was the lead single and title track from the American singer's second studio album. Although it was her most successful single released from the album, ironically, it was also the only original track she didn't help to pen. The song reached No,1 in the U.S., but only #12 in the UK - what is the matter with us Brits? This deserved a Top Ten placing, at least! The original demo for the song was created in a gospel style and written by Billy Steinberg. However, as with Girls Just Want To Have Fun, alterations were made. 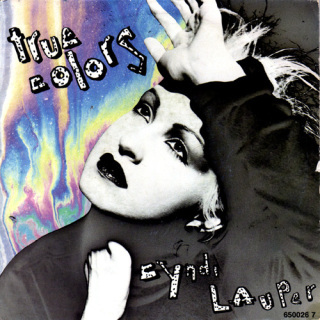 In this case the arrangement was altered by Lauper and the first verse of the lyrics were changed by Tom Kelly. The lead single from the album A Night To Remember was actually recorded by Roy Orbison in 1987. 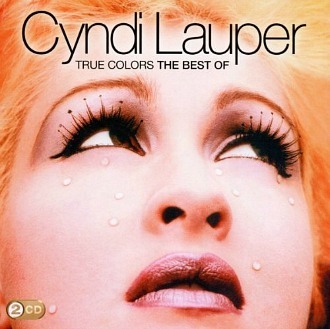 However, his version wasn't released until 1992 and so, bizarrely, Cyndi had a hit with her cover version before the original was released! I Drove All Night reached #6 in the U.S. and #7 here in Great Britain.